This beautiful outdoor post light is a wonderful addition to the exterior of any home. Features an oil rubbed bronze finish and seeded glass. 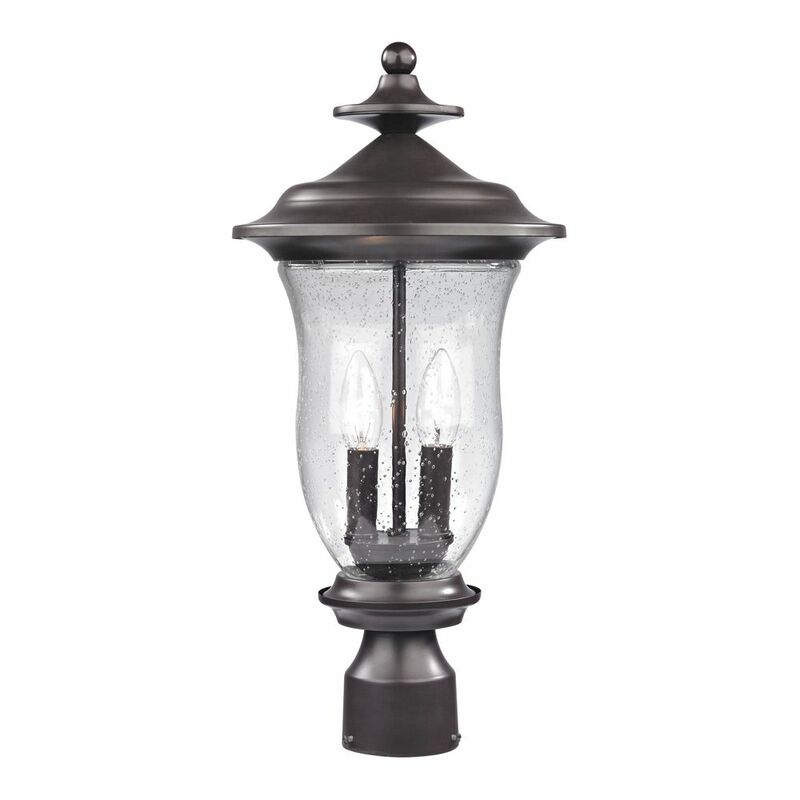 The Chandler collection of outdoor lighting features a oil rubbed bronze finish paired with seeded glass. This 9 light post lantern will fit perfectly in any outdoor space. Outdoor Post Lamp In Oil Rubbed Bronze This beautiful outdoor post light is a wonderful addition to the exterior of any home. Features an oil rubbed bronze finish and seeded glass.